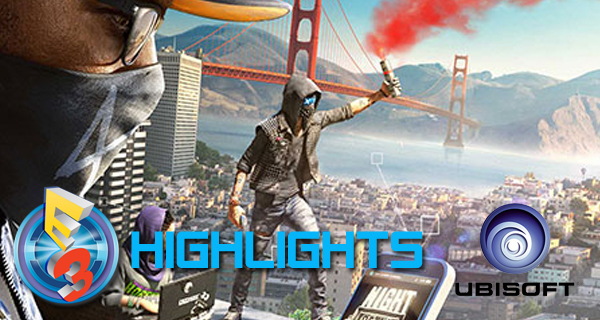 Upcoming games have been announced during the Ubisoft E3 press conference on June 13th. Among these games are highly-anticipated ones such as For Honor, Watch Dogs 2, and Ghost Recon Wildlands. Other titles for virtual reality were also revealed such as Eagle Flight VR and Star Trek Bridge Crew VR. Just Dance 2017, although no specific release date has been announced, was revealed to be coming out to all major platforms including the Nintendo NX. This makes Just Dance 17 one of the confirmed games to be coming to Nintendo’s newest console along with the new Legend of Zelda game. Two new expansions for Tom Clancy’s The Division have also been announced. The first one is The Division: Underground which is scheduled to be released on June 28, 2016 for the Xbox One and the PC, and on August 2, 2016 on Playstation 4. The second expansion, Survival, is expected to come out in Summer of 2016.